Lightweight tandem kayak that can be packed away for ease of transport. The Twist 2 from leading inflatable boat manufacturers Gumotex is a two person inflatable kayak. 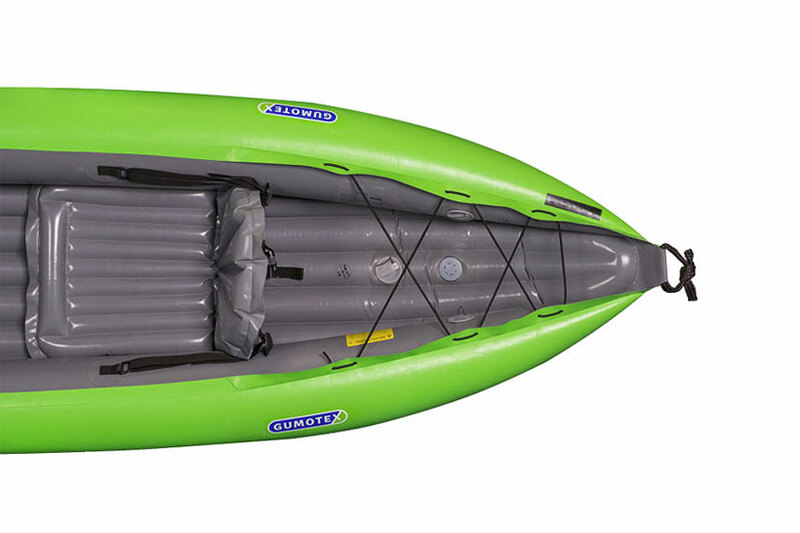 Weighing in at 13 kgs the Twist 2 weighs significantly less than rigid hulled, plastic tandem kayaks. Making it an alternative solution for kayakers who may struggle to lift, transport or store full sized, roto-moulded boats. With a maximum recommended carrying capacity of 180kgs, this kayak is better suited towards small to medium sized adults or junior paddlers. Or paddled solo by a larger adult, wanting more stability and forward speed. The Gumotex Twist 2 is made from Nitrilon material which has good abrasion resistance and proves durable to provide many years of happy paddling when looked after correctly. Two raised seats (removable) keep the paddlers raised off the floor of the kayak, in a comfortable sitting position. With multiple adjustment positions, the Twist 2 can also be set up provide seating for one or two paddlers with varying leg lengths. 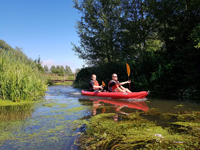 This is a great inflatable kayak for touring on calmer inland waters and sheltered coastlines, providing stability and ease of control- features that beginners or less experienced paddlers look for in their first kayak. 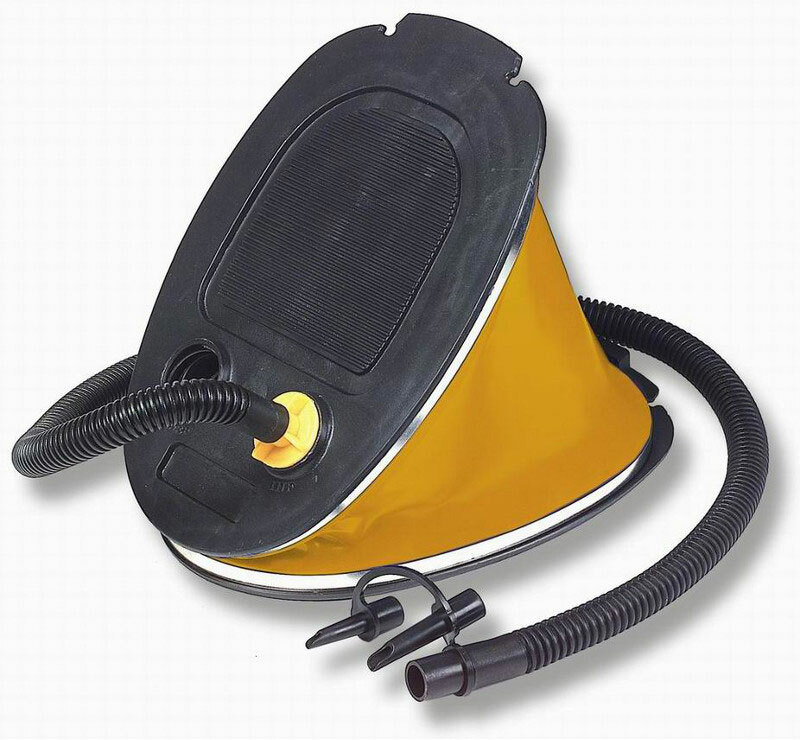 The Twist 2 also easily packs down into a convenient carrying bag, which should fit into most car boots, caravan and motor-home lockers and also is easily stored at home, in the shed or perhaps under the stairs. Front and Rear Mounted Carry Handles. Simple to Use Push-Push Inflation/Deflation Valves. Protect your car keys while your out on the water in this completely waterproof pouch. Includes lanyard so it can be warn under your cag or drysuit for easy acsess. This drybag will help to keep kit together and protected from the elements. 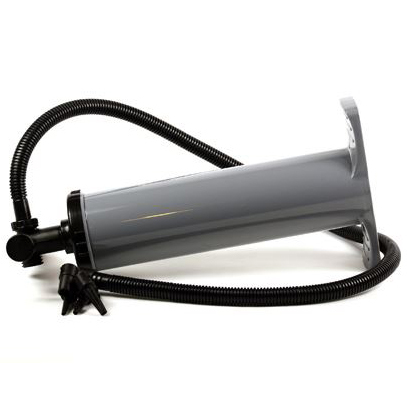 ideal for stowing in the rear bungee tank well. We offer a delivery service for the Gumotex Twist 2 throughout the UK & Ireland to home and work addresses. You can buy a Gumotex Twist 2 online from our website and pick it up from ourselves or from any branch within the Canoe Shops Group. There is no cost associated with instore collection*.